i Click 'view all' to instantly compare this ok deal with offers on other top wifi routers. Linksys EA6350 WiFi Dual-Band+ Router + Gigabit & USB Ports is currently selling at $38.81, approximately $0.01 higher than average. With a lowest price of $38.00 and an average of $38.80 it is selling on the high end of its usual range. Price volatility is 0.3% (meaning it does not change often), so you might have to wait a while for the price to drop. Right now this product is a recommended 'ok deal'. 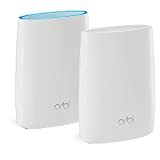 Compare the current price, savings (in dollars & percent) and Buy Ratings for the top WiFi Routers that are closely related to Linksys EA6350 WiFi Dual-Band+ Router + Gigabit & USB Ports. Here is how Linksys EA6350 WiFi Dual-Band+ Router + Gigabit & USB Ports compares with other leading WiFi Routers. 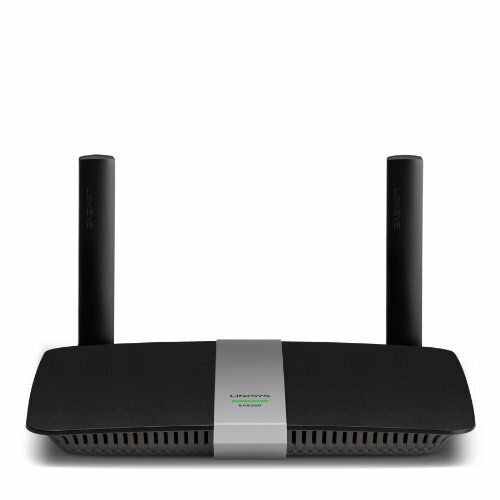 About the productDelivers speeds of up to N300 + AC867 mbpsGigabit portsSupercharged wired connectionBELKIN INTL/LINKSYS EA6350 Ac1200 Wi-Fi RouterUp to 2.8 times faster than Wireless-N technology: Simultaneous dual-band speed up to N300 Mbps (2.4 GHz) + AC867 Mbps (5 GHz) for media-intense applicationsUSB 3.0 port: USB 3.0 and Gigabit Ethernet ports ensure ultimate media streaming and fast data transfer of photos, video, data files or connecting devices across your network. USB 3.0 is 10 times faster than USB 2.0.Smart Wi-Fi allows users to prioritize devices or websites, gain parental control over inappropriate content, monitor network activity, turn Wi-Fi access on or off, and create select password-protected guest networks.Smart Wi-Fi apps: A growing suite of apps offers improved opportunities to control one's home networkEasy setup: Simple installation requires no CDFour 10/100/1000 Gigabit Ethernet PortsOne (1) USB 3.0 Port FeaturesDelivers speeds of up to N300 + AC867 mbpsDoes not include modemSupercharged wired connectionUSB 3.0 port: USB 3.0 and Gigabit Ethernet ports ensure ultimate media streaming and fast data transfer of photos, video, data files or connecting devices across your network. USB 3.0 is 10 times faster than USB 2.0.